For more than 20 years, the Inbox.lv team has been improving the e-mail service, making it more stable, reliable, quick, and user-friendly for users not only in Latvia, but across the whole world. At first glance, the mail server functionality seems to be very simple, however, behind the user-friendly interface, there are many extra settings for additional protection against unauthorised access and spam, for mailbox personalisation, speeding up and increasing the productivity of working with emails. 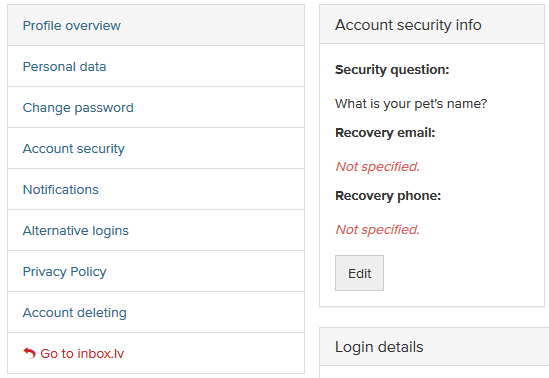 First of all, let’s try to provide a brief overview of important and useful settings that are related to the security of your account. Make sure your profile contains your mobile phone number or an alternative email address: this will help you to independently, quickly recover access to your mailbox at any time. Go to profile right now. 2. Remember, emails accidentally deleted from the trash can be recovered within 7 days after their deletion. How can do it? 1. If you have subscribed somewhere so that your mailbox has become filled with spam, enable the “Increased protection against spam” setting. Most of such emails will immediately go to the “Spam” folder, which will facilitate work with incoming mail. Turn ON now? 2. Help us, by reporting spam emails that came into your inbox: click on the “Spam” button at the top of the email. 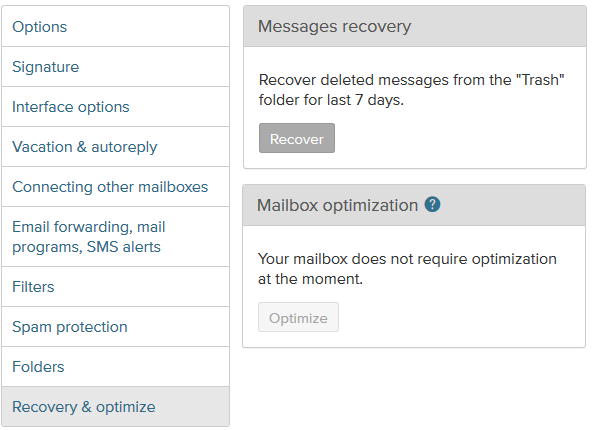 After clicking, the received information is processed by the inbox.lv internal systems and the marked spam emails begin to be deleted immediately, without getting to the mailboxes of the users. 1. The best solution is the Inbox.lv mobile application. Free, and with many features, it is available for Android and iOS phones. Can quickly download from the Play Market, App Store or Samsung Story. This entry was posted in About our products, News and tagged email, security. Bookmark the permalink.